This summer is such a blazer. 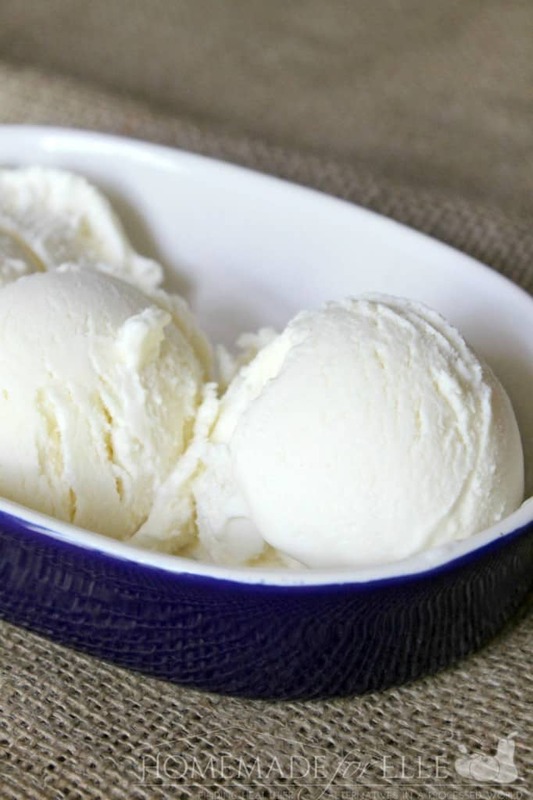 And what better way to cool off than to enjoy a refreshing bowl of homemade vanilla ice cream? Making your own ice cream at home is a whole lot easier than it sounds, especially when you’ve got a Cuisinart Ice Cream Maker handy. Also, when you make your own ice cream, you can control which ingredients go into it. No dyes, no preservatives, no additives. 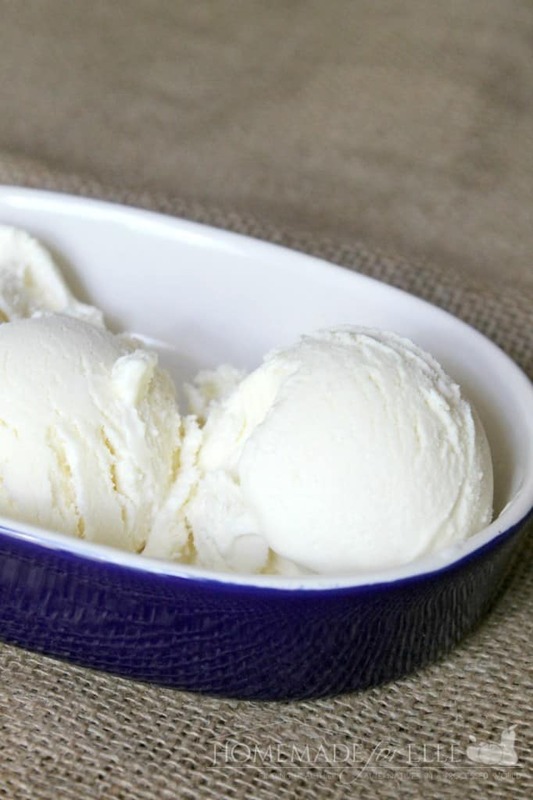 Homemade vanilla ice cream tastes so much better than the store-bought kind, and so easy to make. A common science experiment children do with their classes nowadays is make ice cream by shaking everyone around in a bag. While this method is viable, it’s a lot easier to let a machine do the work. I know many don’t consider ice cream real food and I agree with them. But it does make a nice once-every-now-and-again treat. For example yesterday, we had it as our weekly treat after gardening in the heat for an hour and a half. It was so refreshing and almost necessary. The topping combinations for ice cream are endless, but a few of my favorites include chopped nuts, dates, organic chocolate chips, dries fruit, nut and seed butters, and homemade fudge sauce (honey mixed with cocoa powder). 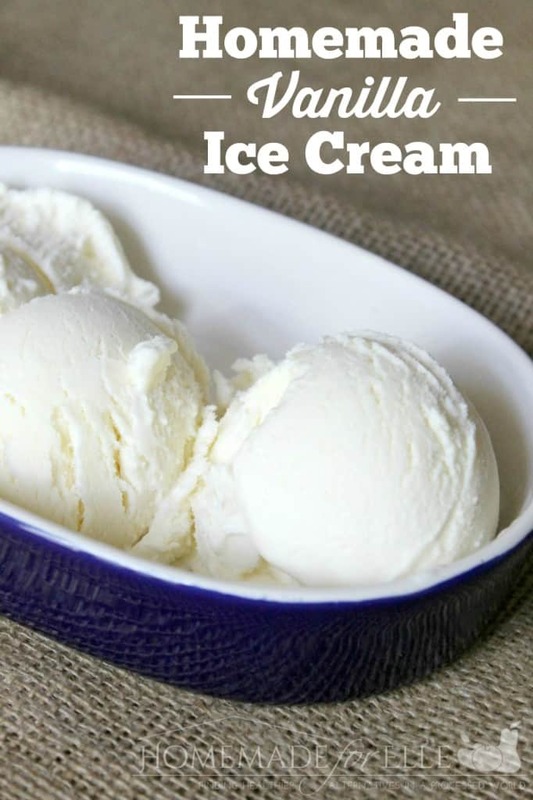 You guys are going to flip for this easy homemade ice cream. It’s so creamy, smooth, and refreshing. It tastes just as good if not better than the store-bought kind. I hope you and your family enjoy this delicious and simple ice cream. Place ice cream maker (bowl portion) into the freezer and chill according to manufacturers instructions. For ice cream base, measure all ingredients into a large bowl. Stir to combine and dissolve sugar—about 3 minutes. Assemble ice cream maker and pour cream mixture into machine. Churn according to your ice cream maker’s instructions. Spoon ice cream into airtight container and freeze 4 hours to overnight to freeze completely. Serve and top as desired.